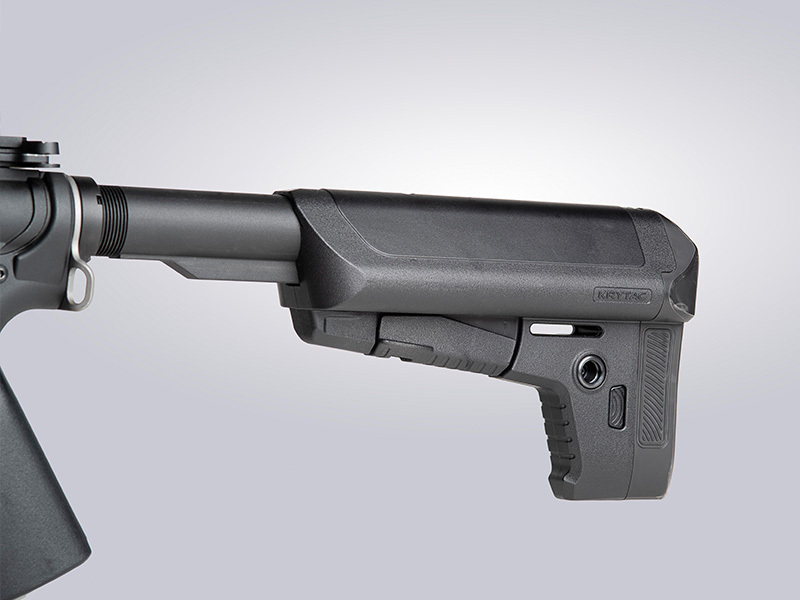 The biggest benefit of the TR47 AEG is the ability to utilize AK47 magazines with your AR-15 style rifle. 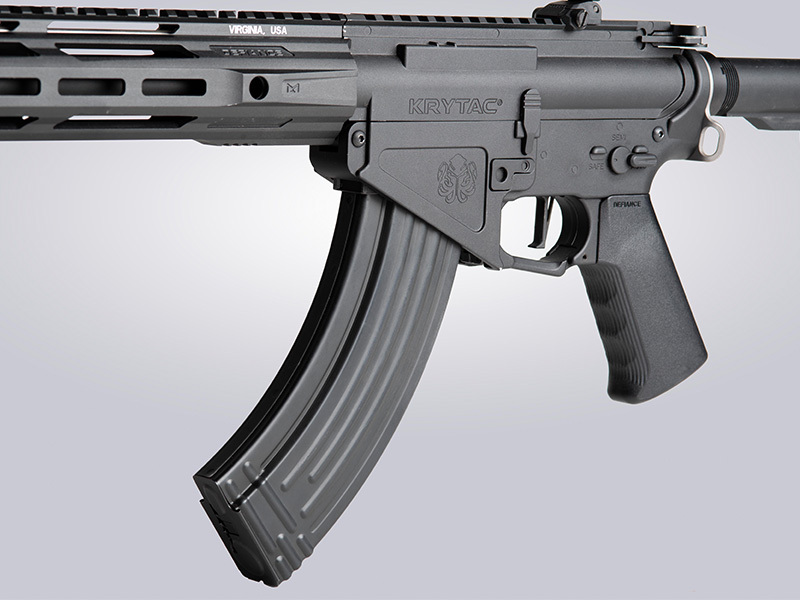 AK high cap magazines hold 600 rounds, double the standard M4 AEG high cap mag, while still retaining the ergonomics and manual of arms of the familiar AR-15 platform. 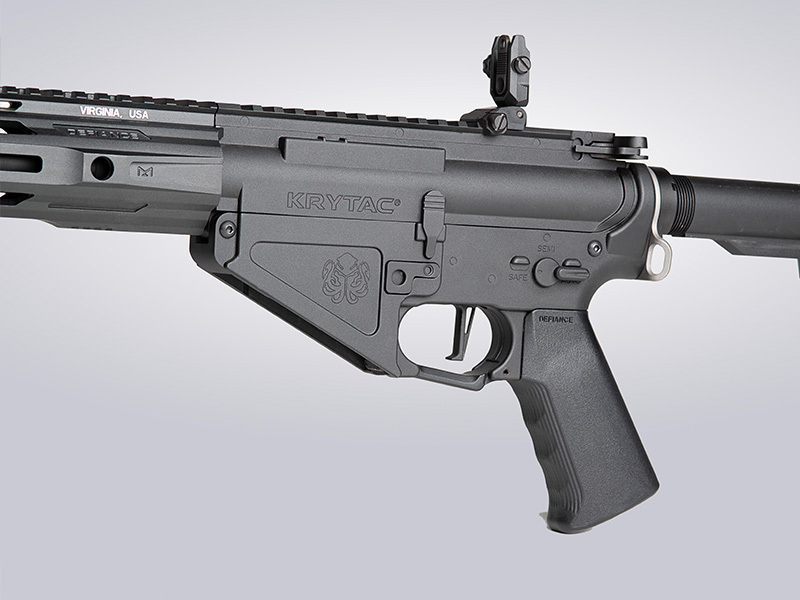 The KRYTAC Trident 47 comes equipped with the TR213 M-lok rail system, licensed by DEFIANCE. 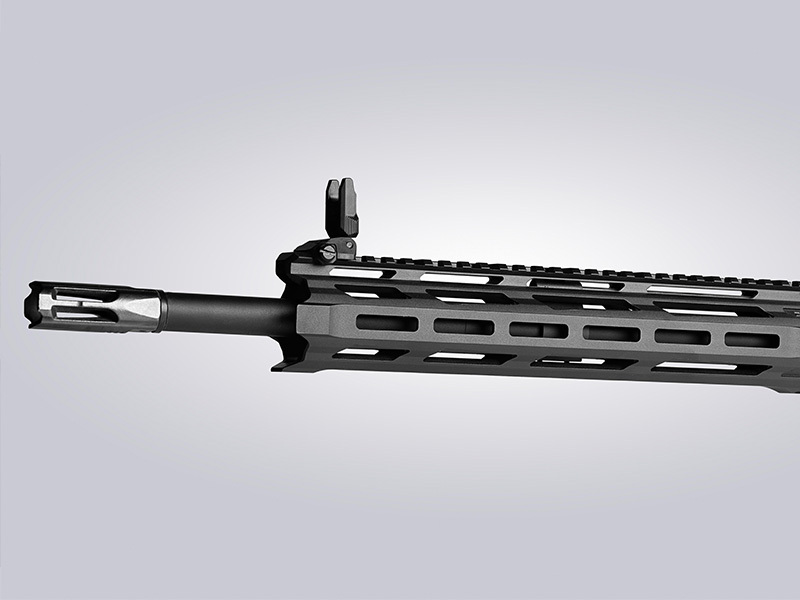 Its slim profile is comfortable in your hands and modularity allows for attachment of rail sections for the addition of your favorite accessories.